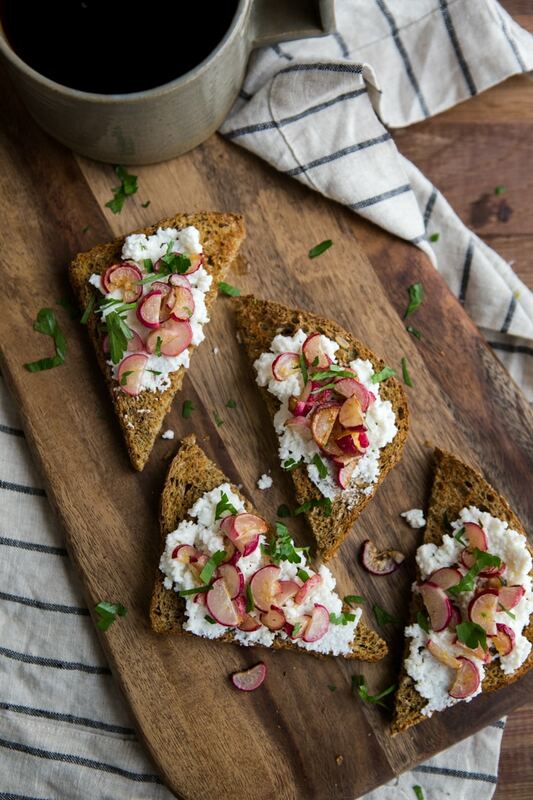 Buttered Radish and Ricotta Toast | Naturally. My husband and I have a running joke when it comes to NPR- I am SO one of those people that nearly every day the words tumble out of my mouth, ‘so I heard on NPR today.’ He laughs at me and then I dive into whatever story I wanted to tell him. However, today my dear readers, you’re getting a dose of it because while driving to an appointment yesterday, I was lucky enough to catch the TED radio hour all about ‘What is Original’. As a person who creates recipes, I like to think that they are original but in retrospect, they are influenced by everything I see and experience. Coming from a background of classical music, this makes sense. Composers riffed on each other all the time and not only was it okay, it contributed to the growth of musical genres (which if you listen to the podcast, this continued well into the 20th century). And yet now, we have more lawsuits and detailed patents that to a certain extent, stifles creativity. I think this is especially important in food and in particular, recipes. One of the things I love about food blogs, pinterest, and online publications is the sharing of ideas (that can spark creativity in other people.) Sure, there are people who directly copy (plagiarize) on the internet (which I deeply frown upon) but nothing gives me more joy than when I see someone take a recipe of mine, expand upon or tweak it, and come out with something new. It’s exciting, especially when we’re pushing for more people to cook at home and champion whole foods. 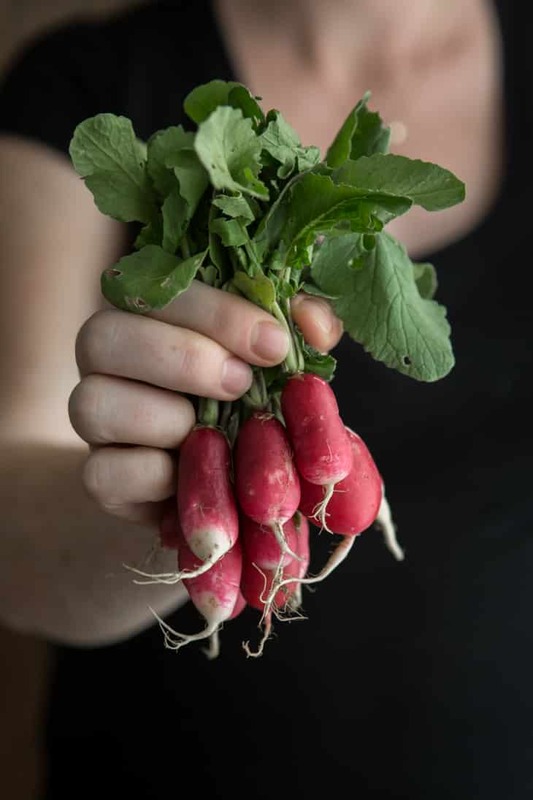 Cut radishes in half lengthwise and cut each half into 1/4″ thick half moon slices. Melt butter in a small skillet, add radishes, and cook over medium low until tender, 3 to 4 minutes. Stir in salt and lemon zest, taste and adjust salt level as needed. 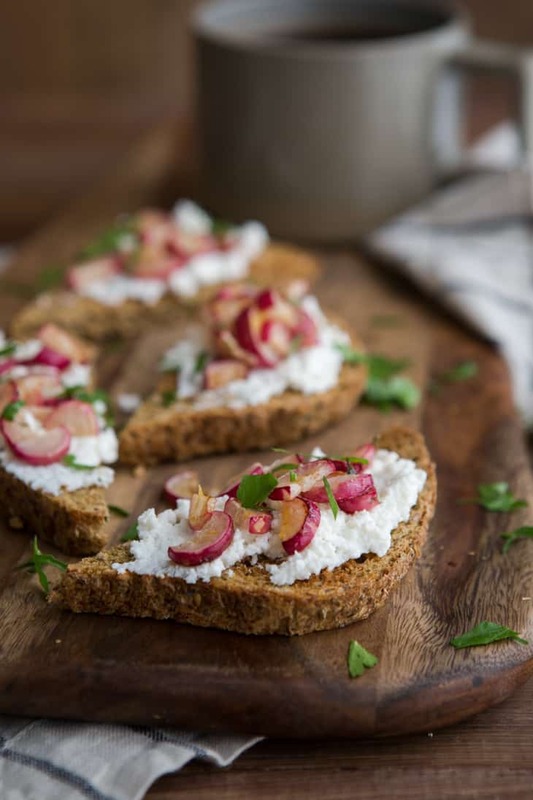 Top toast with a smear of fresh ricotta, a sprinkle of cooked radishes, and finish with parsley. Who needs original when you have ricotta? This looks absolutely divine! I love your photography! So simple but so delicious-looking! But let’s be honest, I would be happy eating ricotta straight from the container, lol. You take beautiful pictures. I have a food blog but I wish i could take beautiful pictures. Such a good idea! Hope to try it sometime. This looks so yummy! That buttered radish is absolute genius! It’s the simple recipes like this that love the most. Perfect! I love your thoughts on this. So many times I think up a recipe idea but then think ‘but it’s not original!’. Oftentimes though, it seems that the ones that are simple and nourishing are the most popular ones to share in our food community! YES!!! I love radishes and eat radish toast all year long- especially when I can pick them from my own garden. I always slather the toast with butter first and then top with the radishes.Thanks for the great idea to switch it up!! Yum! These look awesome. I admit I’m not much of a radish fan but would love to be. Their slightly bitter flavour combo’ed with a crunch makes me know I’ve got to learn to love them. And cooking them in butter ….. well I just never considered this. Thanks for the inspiration. I can’t wait for spring! Oh my – I too have been obsessed with breakfast radishes lately – snacking on them allllll day long. This toast sounds incredible and these photos? Gah! So pretty! I love your take on riffing on other ideas – it’s hard not to be inspired by all the wonderful things people are creating out there! I have seen lots of recipes of avocado toast, but this is the first radish toast! Looks delicious! This looks beautiful and so easy! 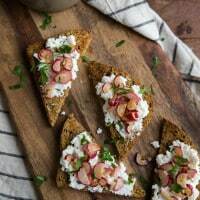 I would never think of the ricotta radish combo, but I can’t wait to try! I am a definitely that NRP person as well. I also listened to that TED Radio Hour episode, it was so interesting. You know what is funny too, everytime I come up with something utterly on my own I always google it for fun, just to see if it’s been done, and it usually always has. Like my blood orange tapioca pudding! I thought hum, I wonder if people do orange tapioca pudding. Low and below it’s like a big thing! Who knew? Do radishes ever give you indigestion? I am wondering if the cooking would help with that. I’ve never cooked them before! I couldn’t agree more. I take inspiration from others and hopefully spark some in other people, too! This looks delicious and I have some radishes in my fridge right now, guess whats for breakfast! Awesome recipe! i was hesitant at first because i don’t really like avocado too much…but i gotta say it surprised me!